Are you seeking clear vision in the Jacksonville, Florida area? 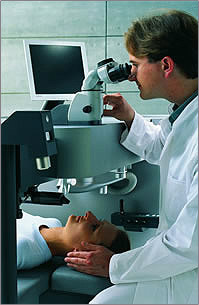 Dr. Robert I. Schnipper at Jacksonville Eye Center is one of the region's most experienced and trusted LASIK surgeons. Only the latest technology is used at Jacksonville Eye Center, to ensure the best visual outcomes. If you are ready to reduce or even eliminate your dependency on glasses or contact lenses, we welcome you to use this website to learn if LASIK Laser Vision Correction is right for you. We also encourage you to schedule a free LASIK screening to determine your candidacy and answer all your questions regarding vision correction.